Male isolated on white with toolbelt on ready to work. So you’re in the kitchen doing your own thing, and your nose catches a whiff of an awful smell. You then look around to see where it’s coming from, and you notice the problem is your garbage disposal. You pour bleach, salt, and everything you can think of down the drain to get rid of the smell. Worse yet, nothing seems to work. What may be the cause of this awful, cursed smell? Well, the smell is caused by a number of things. The main cause of the stench is from food built up in your garbage disposal, which creates bacteria that release awful smelling gases. Overtime, the blades on a garbage disposal dull out. 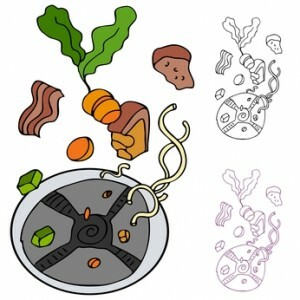 Consequently, the blades won’t chop up food as well, and some of the food gets stuck in the pipe and starts to build up, causing the awful odor. There are a few ways you can prevent this food build up from happening. One way is to not feed your disposal stuff that is hard to chop up such as potato peelings, seeds, egg shells, etc. Doing this practice will keep your blades in your disposal from dulling out. Also, whenever you do run your garbage disposal, make sure you run plenty of hot water down the drain. Doing this will prevent any food build up. What Can a Plumber do to Fix It? A plumber can definitely fix this bad odor problem you have coming from your garbage disposal. What he will do first is take apart the pipes from your sink. He will then physically remove the food build up from your pipes with a brush or some similar tool. 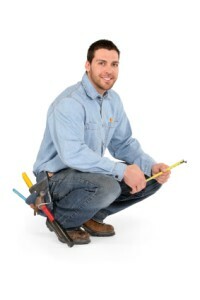 After he has done this, he will assemble your pipes back to working order, and the smell will be gone. This may be on the pricey side because of the labor involved. You may be looking at hundreds of dollars depending on who is charging. Doing the prevention tips I mentioned in the second paragraph can save you hundreds of dollars in the long run. However, if worse comes to worst you will have to hire a plumber to fix the problem. After spending hundreds of dollars you should learn a good lesson on prevention. I can guarantee that the plumber himself will mention these tips I shared with you.